Construction Marketing Case Study – Designing More Than Just Ponds! Are you a contractor who provides fantastic results for your clients, but can’t seem to get consistent work coming to your door from your construction marketing? Does it wear you out to deal with construction marketing companies and the amount of laziness they have in getting your stuff done? Do you now have a pretty terrible opinion of these marketing and contractor advertising companies and wish they were different? At Redmond Growth, that’s exactly what we achieve. There are too many scammy construction marketing companies that purposefully take your hard-earned dollars to give you nothing in return. Our core tagline for helping our clients is simple…“We fix broken businesses and make good businesses great.” And for Anderson Pond Design, they joined on with us and in their period of work, saw great improvements in their contractor marketing. 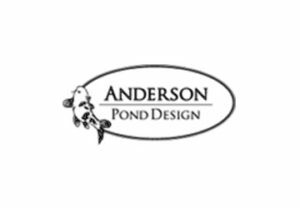 Anderson Pond Design is, as the name says, a pond construction company. They create those cool, scenic front yards and backyards for nice homes around the Tulsa metro area. They were already busy enough in their business and just needed a construction marketing firm that’s truly dedicated to making them a world-class brand online. Well with our contractor marketing services, we’ve certainly done this and along the way, the team at Anderson Pond Design experienced much more of our resources too! With our work at Redmond Growth, one of the first things we focus on is how to generate more and more work for the business. Seems like a pretty standard reason for why people would come to us right? What gives people some head-scratching expressions is when we talk about doing things like getting massive amounts of Google reviews. This, in all reality, really is a HUGE way for contractors to generate work for their business. We have too many contractors who, after following our construction marketing solutions and getting fiery ambitious about Google reviews, come back to express the random calls out of the blue because people just find them on Google…by looking at reviews! It’s truly a money-making move, helps to solidify your credibility, and it’s a consistent action that any business owner needs to review daily. Oftentimes though, our implementation specialist that works with the business owner needs to work with them on their pricing structure. Good, noble contractors work with prices that in no way, reflect their standards of work. Especially when they actually take a look at what their competitors are pricing themselves at, they find out that they are 50% less than companies who provide similar work! So for a lot of our clients, we work not only on their construction marketing, but also on making sure they can actually profit on their work as well. With a lot of small business owners, we find that the best practices found in all the of top companies for their sales processes are not replicated. So while we work on their construction marketing, it’s important that we’re able to instruct each business owner on best practice measures to ensure their leads can actually be fulfilled. For instance, implementing scripts to ensure that whoever business owners have on the phone will close the deal the way it needs to be closed. And once that script is incorporated, having the client sign on with a company to include call recording. These are just a couple of the power moves that any billion dollar company does. Why can’t you as the small business owner do the very same thing? Now as the business continues to be as busy as ever, business owners need to know that their are daily, revenue-producing activities that they have to execute. Most of the activities for the clients we work with are not at all implemented. In order to fulfill this though, we work with our clients to first be able to maintain a tight, consistent calendar even with their busy schedules. So that means saying no to a lot of things throughout each day and saying yes to only the few activities that will produce the most revenue for you and your business. We can implement the great assets that we have with our construction marketing, but we also need to make sure that as the business piles on more and more responsibilities, that they’re able to handle it and manage time adequately. What’s the easiest way for a business owner to deal with lots of responsibilities? Train someone else to do it! I will say though, the first step in training someone else is for you to actually know how to do it yourself. Business owners seem to have a philosophy that if they just bring in an excited guy to the business, they can pass off their “sales” to them. We often run into business owner who have a “secretary” take care their administrative work. You can NEVER complete differ any activity to another human being. You, as the business owner, must know what is going on with each system that’s in place with your business. If you don’t, then the construction marketing we do will go to the wayside because your “administrator” forgot to check the leads on the website for four weeks straight. As all of these systems are set in stone and as the construction marketing becomes a fully, turnkey operation, the business owner’s priorities will begin to focus on how they can improve the business by 2% each week. That’s it. As the company takes on more and more and gets more dominate, it’s all about the effectiveness of the work they provide. Now it’s about how to safeguard what happens in the business. We’ve found that any business owner that reaches the million dollar mark in annual revenue will someday, be in some type of litigation or audit. So tightening up everything becomes the crucial focus for the business owner. Each business owner, in some form or fashion, is looking for their business to be the fuel for their time freedom and financial freedom. Some are looking for the freedom to provide funds for ministry opportunities. Some are looking for both to spend impactful time with the family on fun trips and memory-making moments. Through and through, we’ve worked with business owners (that stick with us), to grow their business in great ways. Are you excited to take the next step forward with your construction marketing, but need a dedicated team of awesome people to get you there? That’s why you work with Redmond Growth! Just give us a call at 918.361.3047 or fill out a form today on our website so Tim Redmond can reach out to you.